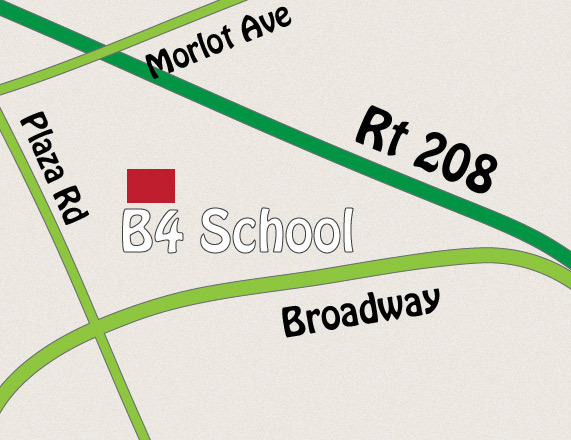 B-4 School Learning Center is a family owned and operated state licensed child care center serving the community of Fair Lawn for over 25 years. Located across from Warren Point School, we offer preschool classes for 2-5 year olds and before and after care for Warren Point School children. Transportation for children to and from the Warren Point School. We provide homework help, outdoor play and low student to teacher ratios in a secure environment. This makes us a perfect choice for any child needing care before or after attending Warren Point School. All of our programs encompass a variety of activities important for developing the young child such as; free play, circle time, story time, arts and crafts, outdoor play and snack time along with our monthly themes. School Readiness programs are age and developmentally appropriate and our curriculum will nurture each child’s unique personality. Nurture each child’s unique qualities and potential. Provide children of differing cultures, ethnicity, means and family structures with developmentally appropriate activities where families, staff and students alike understand and embrace the value of diversity. Support families through strong partnerships to build a family friendly environment.